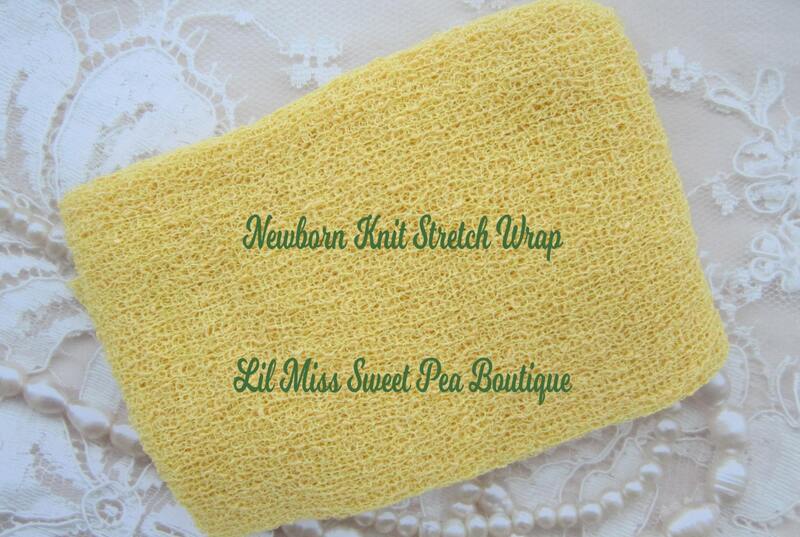 Yellow Sunshine stretch knit wrap AND / OR Tan Delphinium Flower Headband set for newborn photo shoots. Wrap the newborn or use for layering. 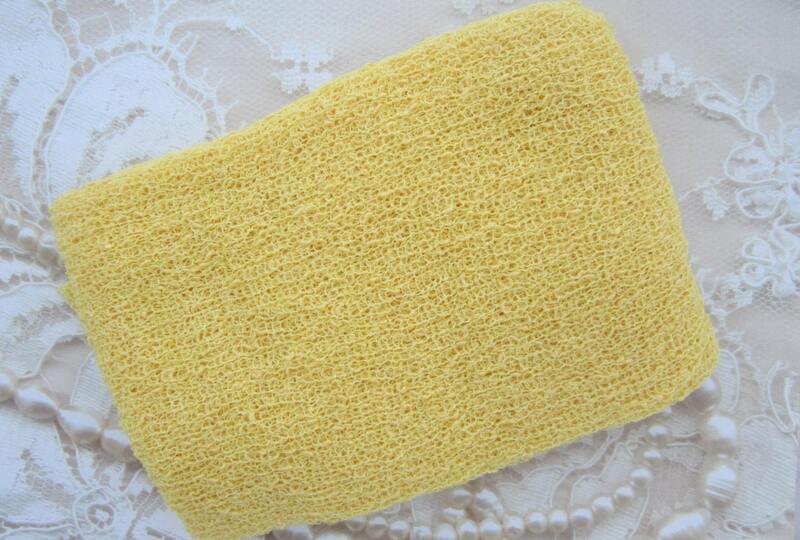 Headband measures 13 inches, this will fit newborn to 6 months, this elastic is really stretchy. This set is a must have for newborn photographers. The breathable stretch wrap is loved by photographers because it is really soft and luxurious. 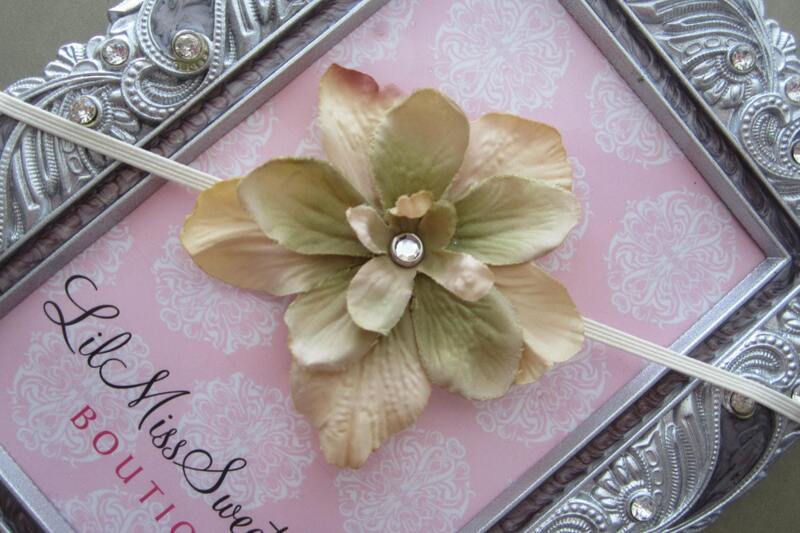 The headband is made of soft stretch 1/8 inch FOE elastic with matching Delphinium flower.